1: A large very vascular glandular organ of vertebrates that secretes bile and causes important changes in many of the substances contained in the blood (as by converting sugars into glycogen which it stores up until required and by forming urea).n2: Any of various large compound glands associated with the digestive tract of invertebrate animals and probably concerned with the secretion of digestive enzymes. Lobular organ which has as its parts lobules connected to the biliary tree. 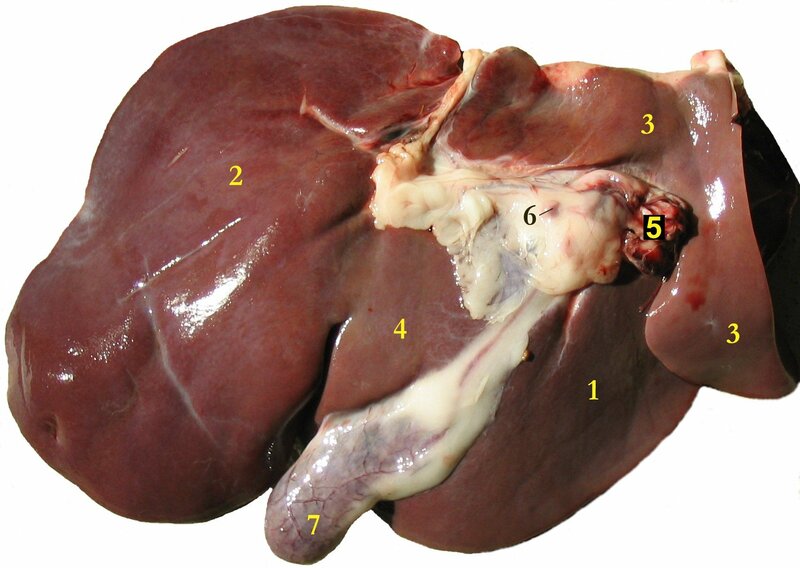 Examples: There is only one liver. An exocrine gland which secretes bile and functions in metabolism of protein and carbohydrate and fat, synthesizes substances involved in the clotting of the blood, synthesizes vitamin A, detoxifies poisonous substances, stores glycogen, and breaks down worn-out erythrocytes[GO].